Fine Italian food with Old World style. 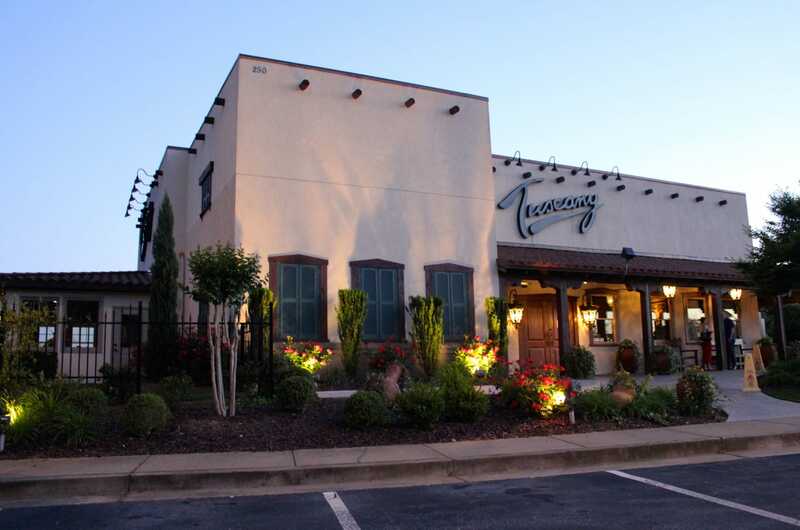 The Tuscany Italian Restaurant offers traditional northern Italian cuisine served in a charming and romantic atmosphere. We welcome couples, families and groups to join us for lunch or dinner. With over 30 dinner choices, daily specials, and an incredible wine selection your dining experience will be wonderful. Friday and Saturday seating is first come, first serve. We also offer carry out, catering and hosting for private parties. We only accept reservations for parties of 10 or more. Come to Tuscany Italian Restaurant and experience the taste and hospitality of the old world. We're happy to answer any of your questions and appreciate any comments or concerns.